Valve is letting aspiring scientists create their own Portal 2 puzzles with a new in-game editor. 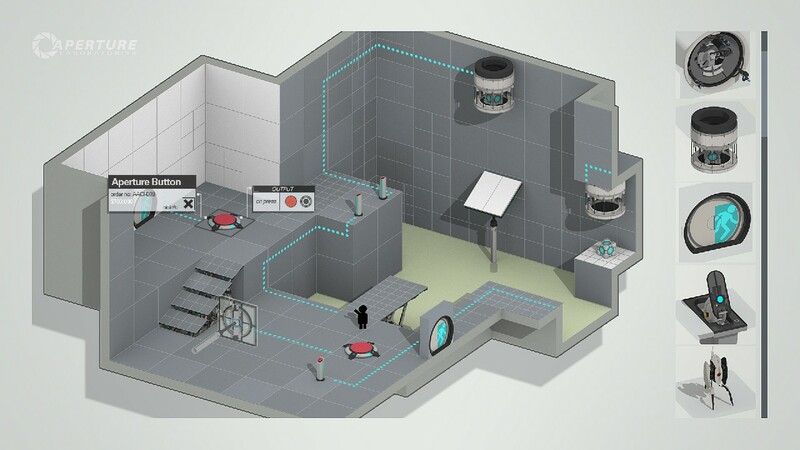 Less than a month after the release of Portal 2's "Peer Review" DLC update, Valve Software is hard at work on a new addition for its award-winning first person puzzler; an in-game map editor that will allow eager test participants to create their own single player and co-op test chambers. Players will also be able to share their maps with the rest of the Portal 2 community, along with voting and checking out the works of other fans. Although technically one already can make their own Portal 2 content using the Source Developers Kit, it's far from being easy process. The average player may find it to be a borderline ulcer-inducing experience trying to create a simple map from scratch, let alone working out how to include custom made textures and sound effects. While Valve has stated that the new editor will be "easy-to-use", so far it's been vague on what aspects of their SDK have been streamlined to make it more accessible in the upcoming DLC pack. Valve hopes that fans of Portal 2 will be able to experiment with the DLC map editor in early 2012. Realistically, it'll probably arrive later on the year when one takes Valve's somewhat quirky release schedule into account.